What I love about these cupcakes is that they use pantry staples. Since they use pantry staples, you can whip together a batch easily… which means that you can eat Vegan Chocolate Sprinkle Cupcakes whenever you want! Plus, people don’t realize they’re eating vegan cake! They are super chocolatey, super moist, and super tender. Basically, they are the perfect chocolate cupcake ever. But don’t take my word for it – make a batch this weekend and let me know what you think! 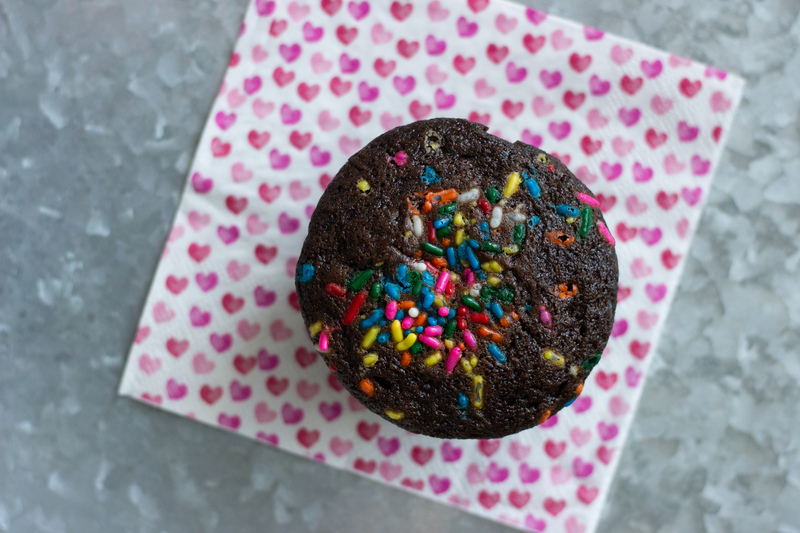 The easiest vegan chocolate cupcake recipe with a sprinkle twist! 1 tablespoon cider vinegar - white vinegar works well too! Preheat your oven to 350 degrees. Line a twelve-cup muffin tin with paper liners. In a large bowl, sift together flour, cocoa, sugar, baking soda, and salt. In a small bowl, combine water, oil, vinegar, and vanilla. Pour the wet ingredients into the dry ingredients. Stir to just combine. Add in the chocolate chips/chunks at this time and stir to combine. Portion the batter evenly across all wells in the muffin tin. 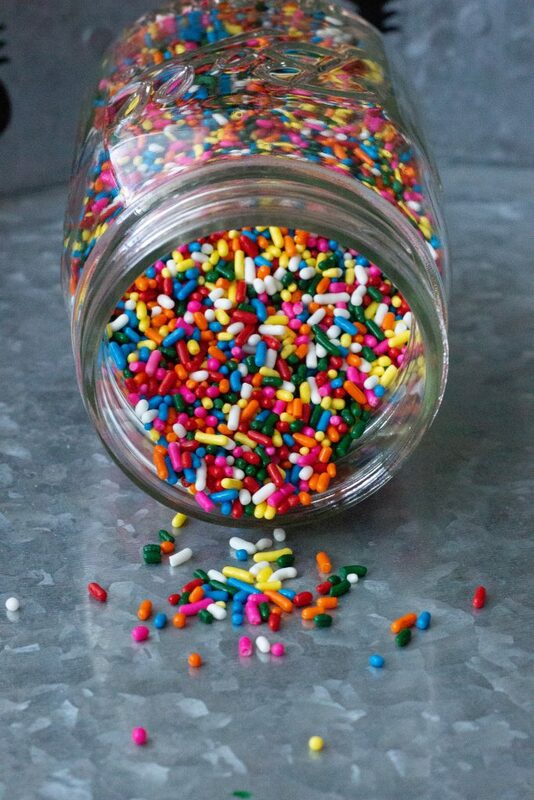 Top each cupcake with one teaspoon of sprinkles. Bake the cupcakes for 18-25 minutes, or until a toothpick inserted in the middle comes out clean. 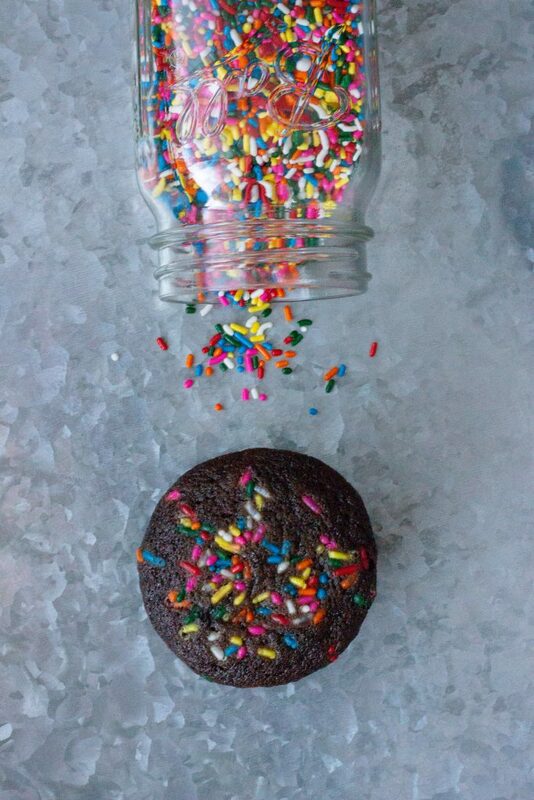 Allow the cupcakes to cool for 5 minutes in the muffin tin before removing them to a wire rack to cool completely.